Two days 90 miles This was our toughest and longest 38 miles to date with very long climbs and many stops for pictures. We started climbing into the Redwood National Park out of Crescent Beach and were in awe with the incredibly large trees. This continued most of the day with a few times back down to the coast but then always climbing back into the redwood forest. Andee drove ahead and found a wonderful campsite at Prairie Creek Redwoods State Park. In fact she scored the last tent spot. 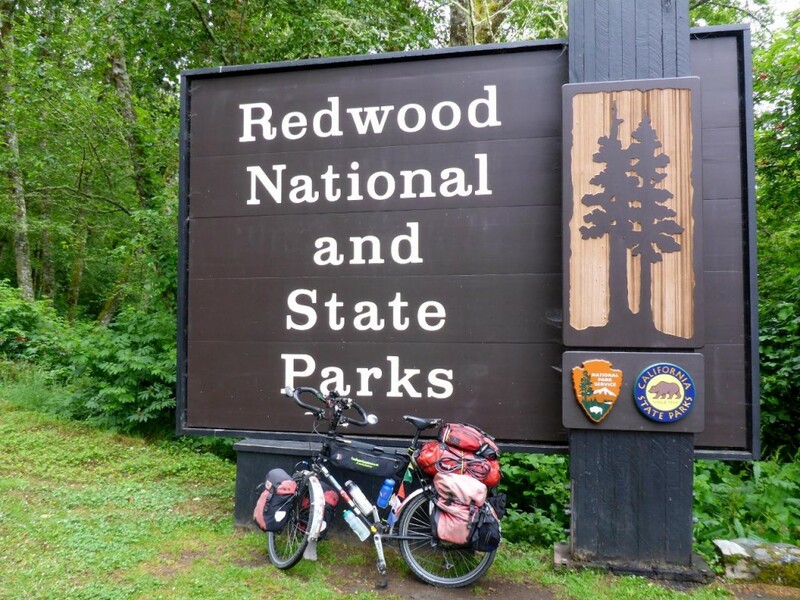 The ranger did say however that California state parks will not turn away camping hikers or bikers as long as there is no vehicle. In the evening we attended a very interesting presentation by a ranger about early logging days in the redwoods. 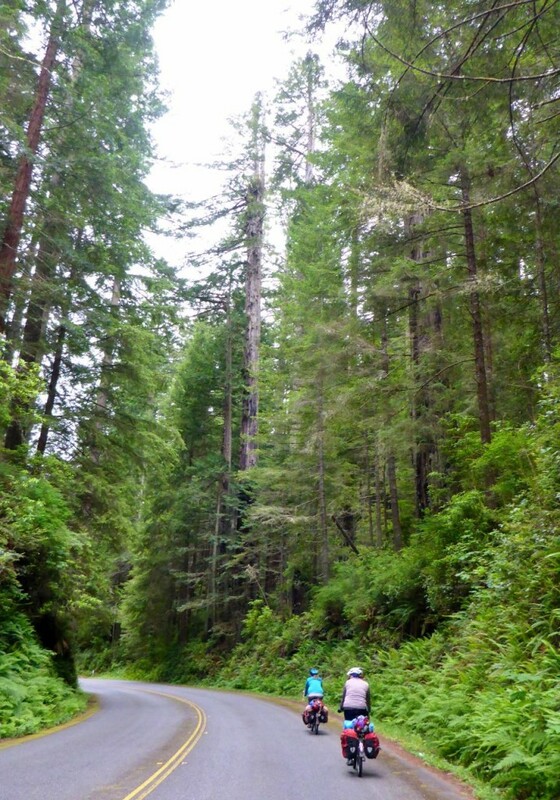 In 1800 redwood forests covered about two million acres. 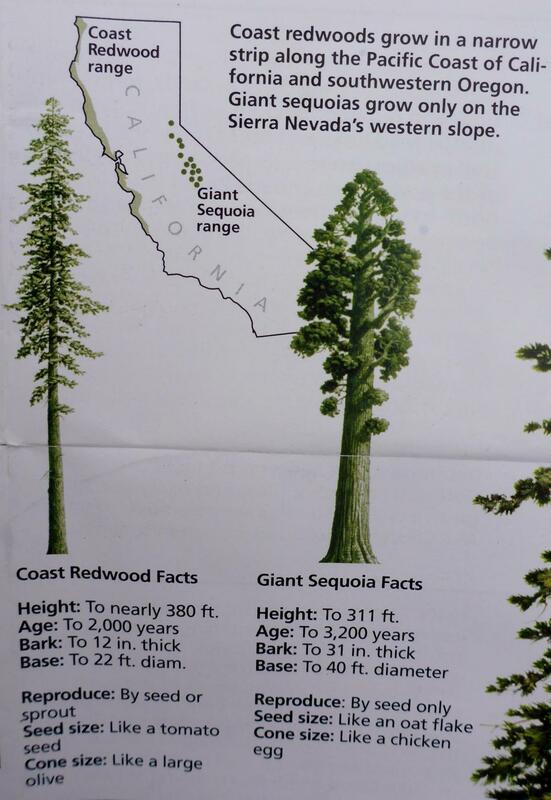 As the mid-1800s gold fever subsided, redwood fever replaced it and the trees soon fell to determined logging. In the 1920s California preserved some key groves with the help of some rich influential people. 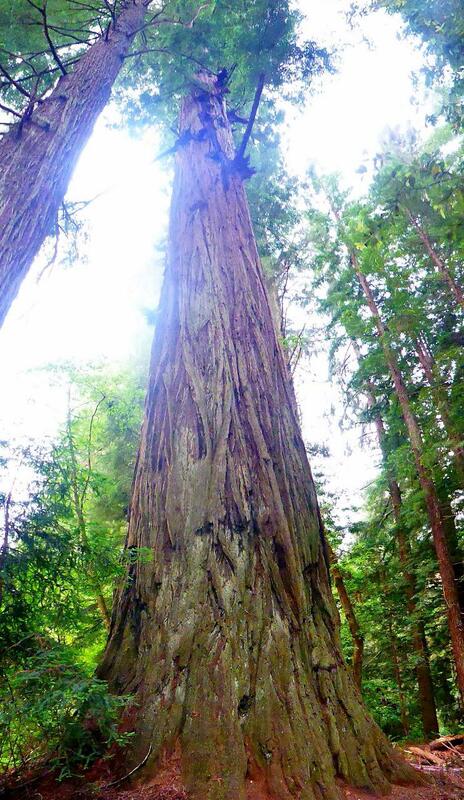 Congress created Redwood National Park in 1968 to save the world’s tallest trees. 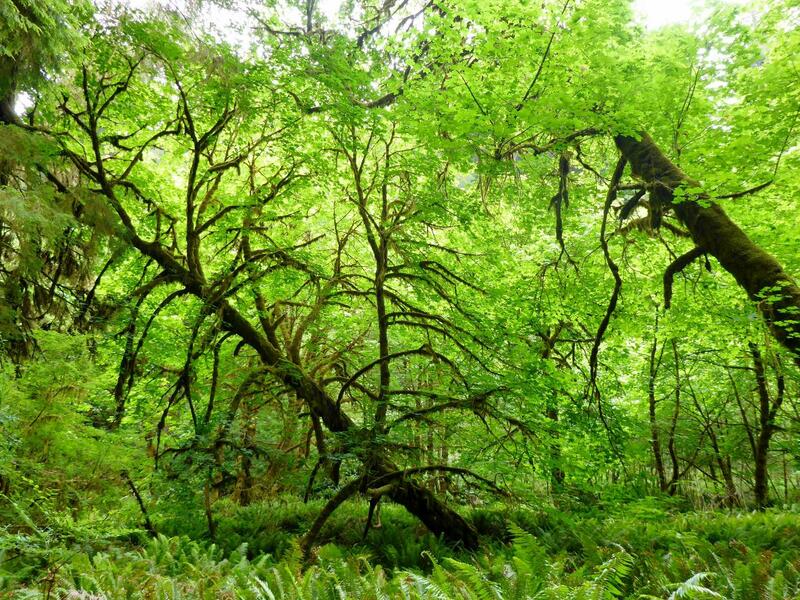 This park system protects the nearly 40,000 acres that remain. 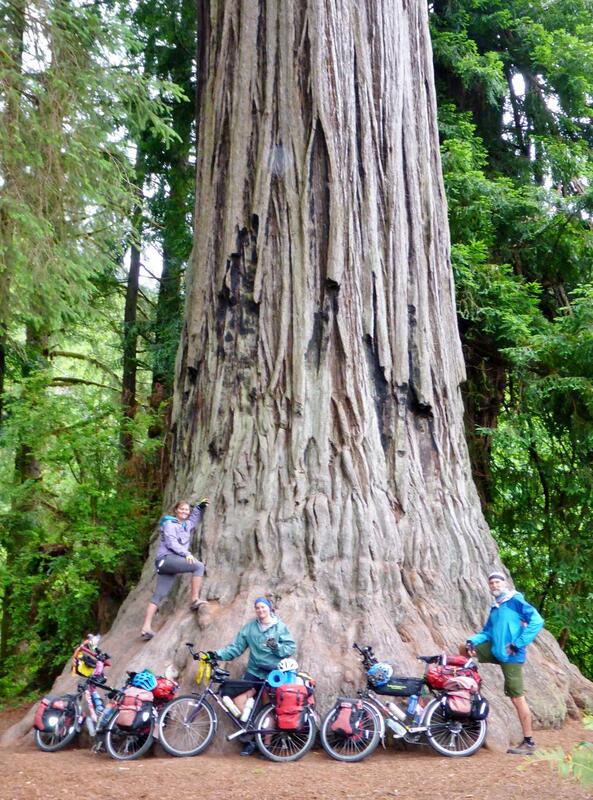 These “old growth” trees can be 2,000 years old and stand nearly 380 feet. 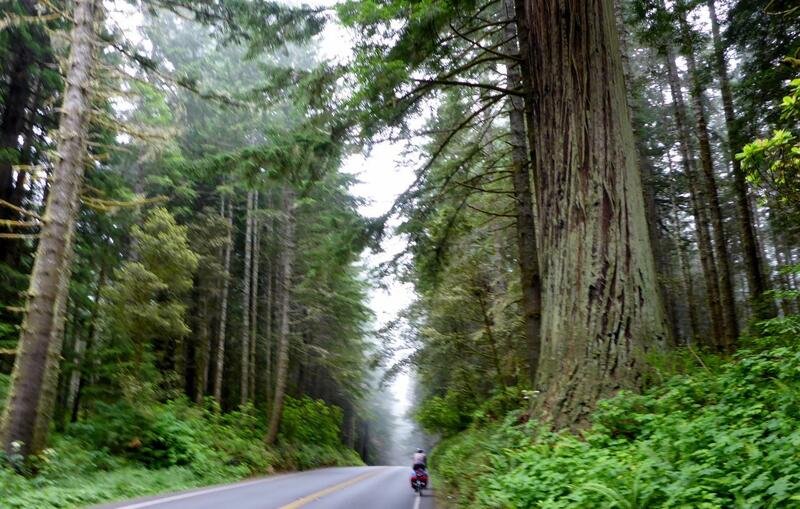 There are second growth trees that are planted and harvested 80 years later. The next morning we continued south through the redwoods and stopped in the coastal town of Trinidad for an excellent seafood lunch and a tasting at the local Moonstone Crossing winery. After that Jocelyn found us a few small narrow roads that ran along bayside cliffs and more importantly avoided the busy Highway 101. We did have to ride 101 to the town of Arcata where we will spend two nights with a couple Andee met through a high school friend. 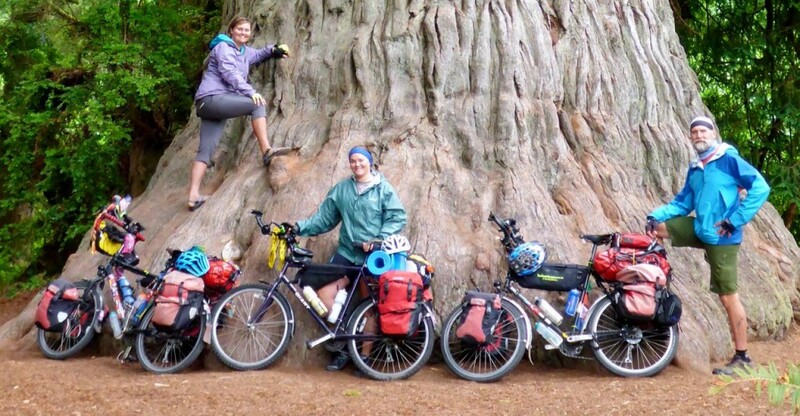 Jocelyn stayed with Paul and Diana on her ride north two years ago. 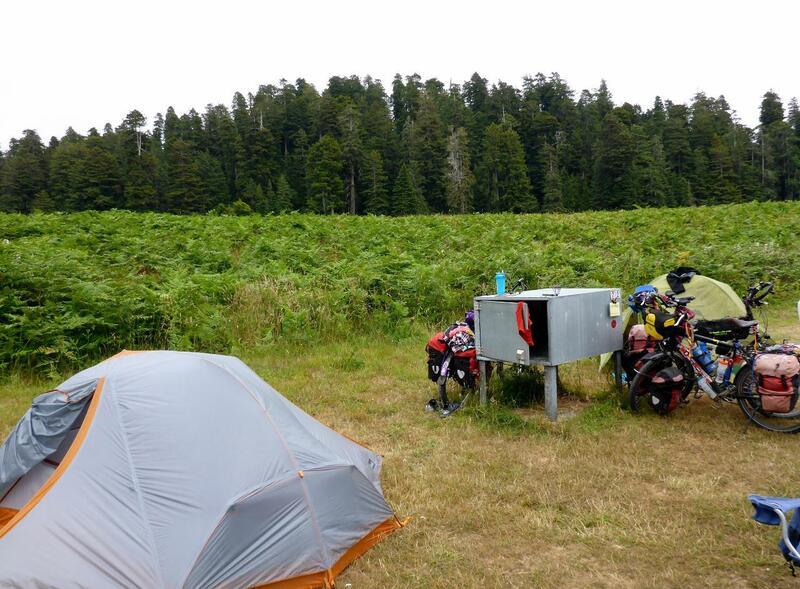 Two days of riding through redwood forests, down to the coast then back into the redwoods. I posted a sign of this Indian on horseback with what appeared to be a tree branch stuck through his back. 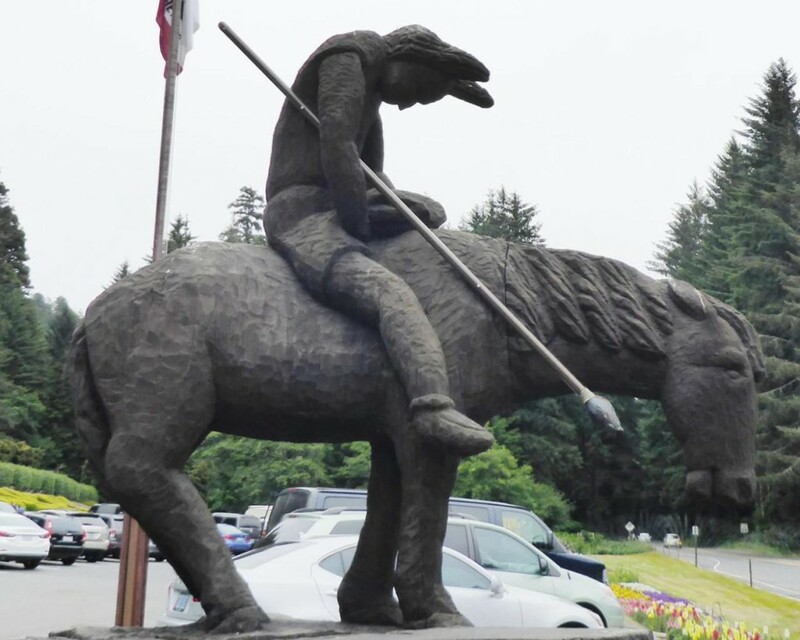 Here is a statue showing the Indian holding a spear that appears on the sign as going through his back. 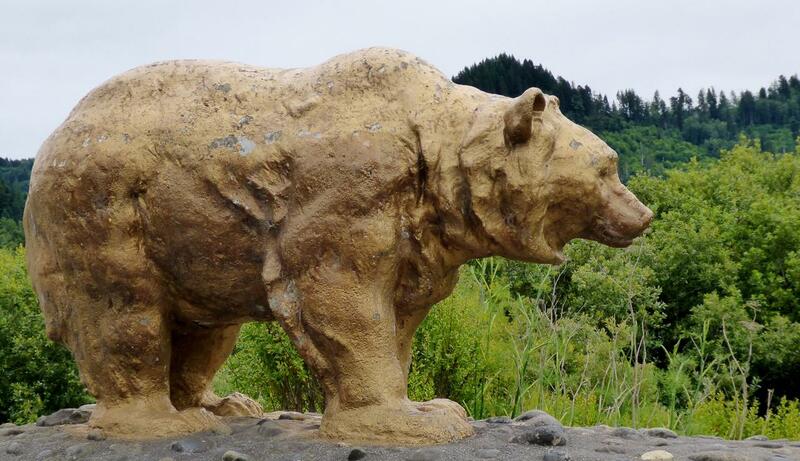 California – the golden bear state. 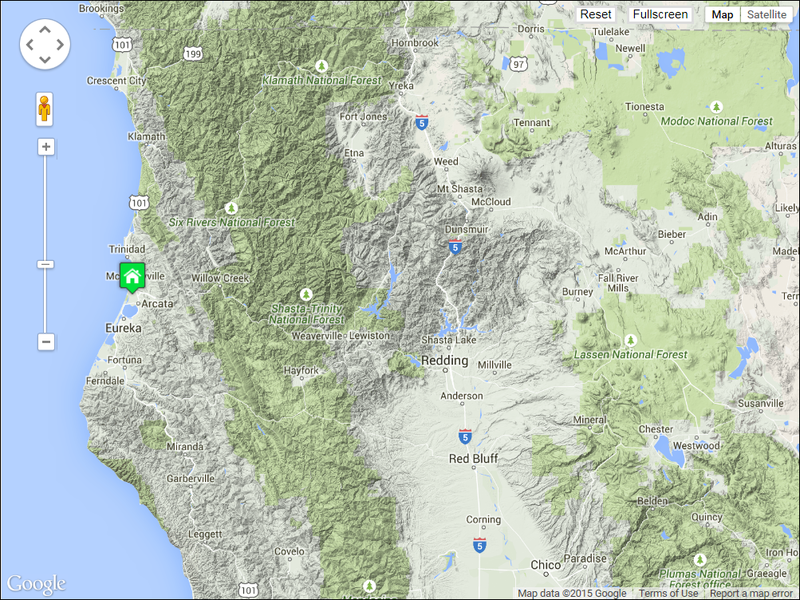 We will pick up my son Cary from the San Francisco Airport on July 8th. We have some riding to do. 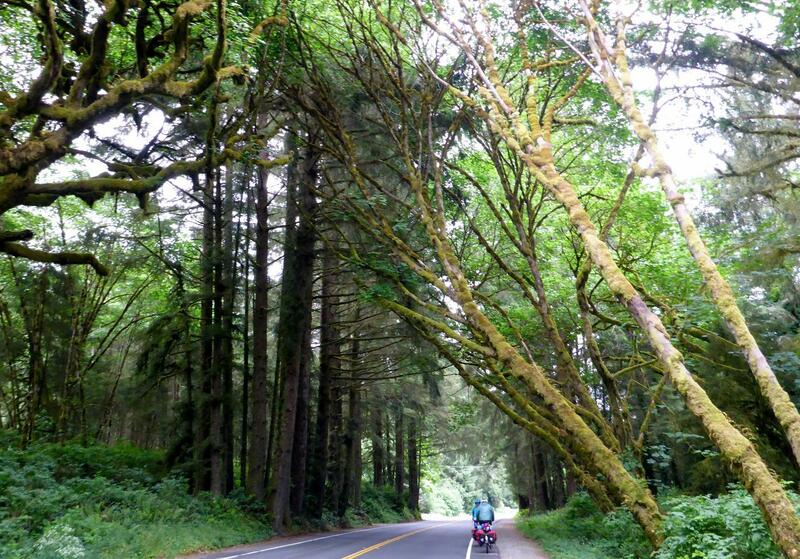 What a great place to ride through. It’s difficult to take a picture that shows the size. 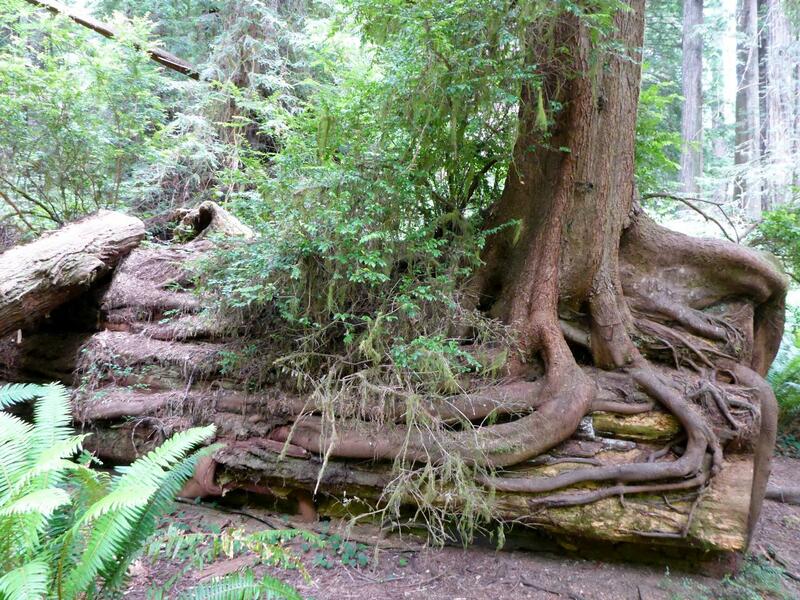 A tree growing roots around a fallen tree. We walked down a path to see the “Big Tree” as advertised on a roadside sign. There were several people looking at this tree who said this is the unofficial “big” tree. Everyone got a good laugh out of this. 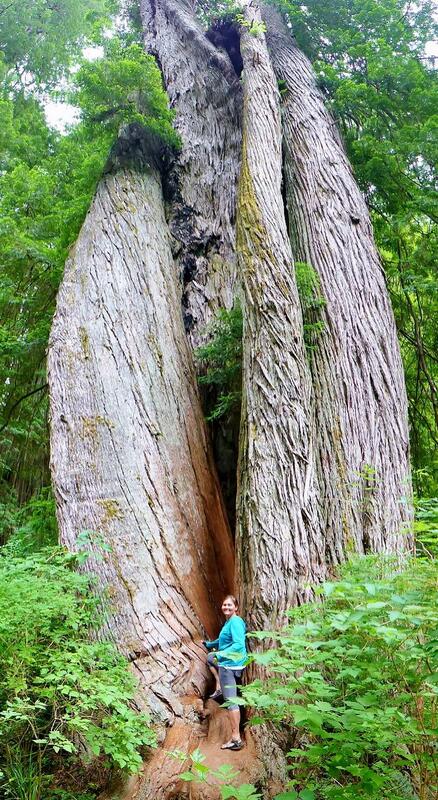 This is the local Big Tree. 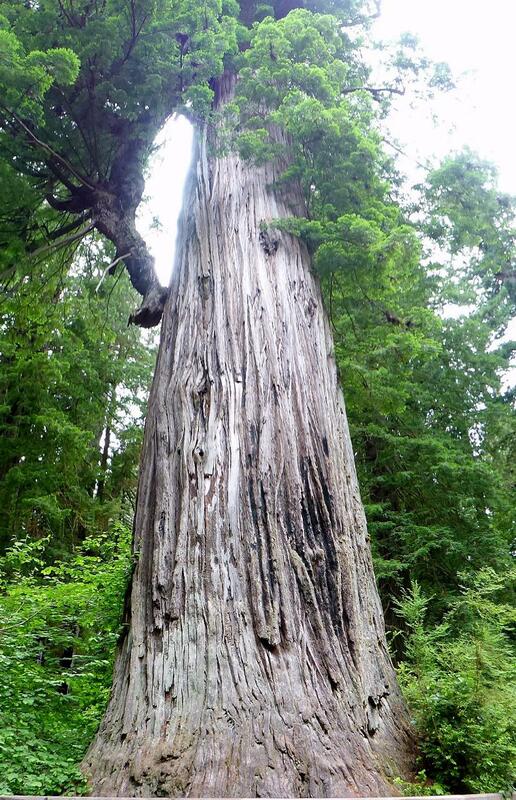 309 feet tall, 22 foot diameter and 1,500 years old. 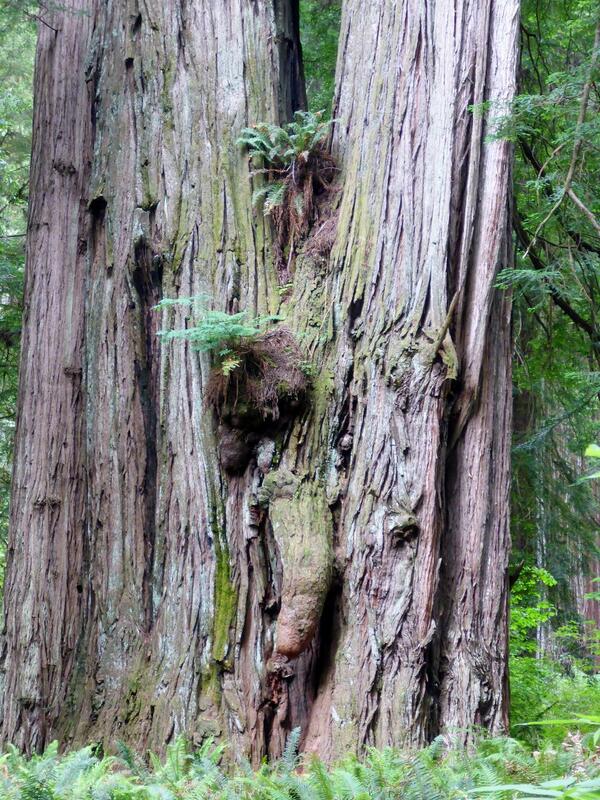 This looks like a bear in a tree cave. 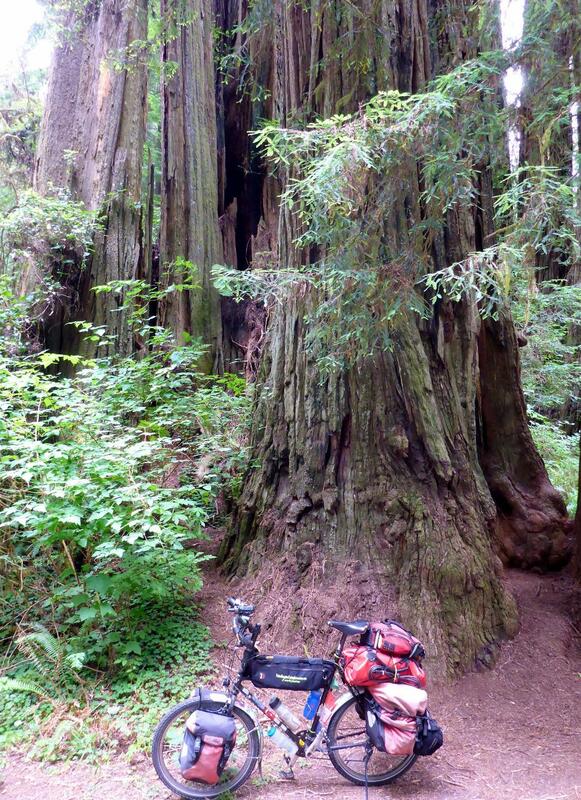 Prairie Creek Redwoods State Park. 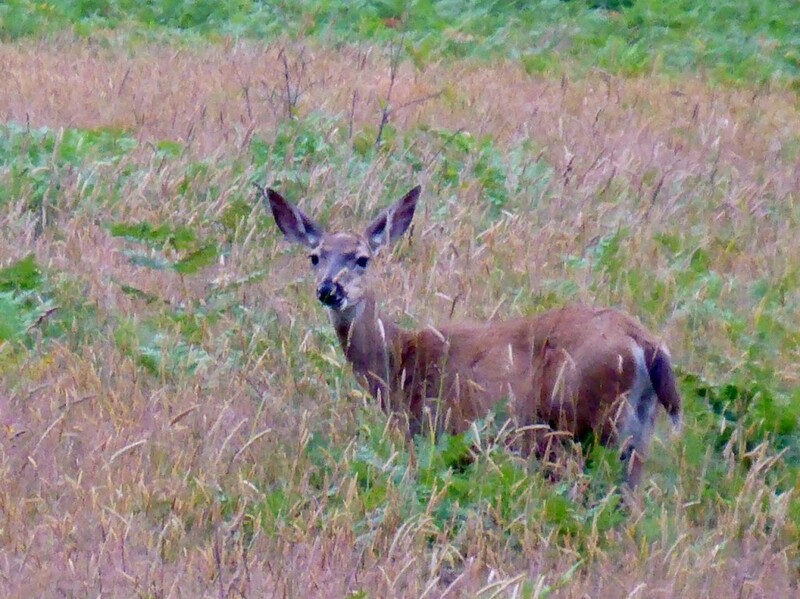 An early morning deer or elk. Another foggy one at Humboldt Lagoons State Park. 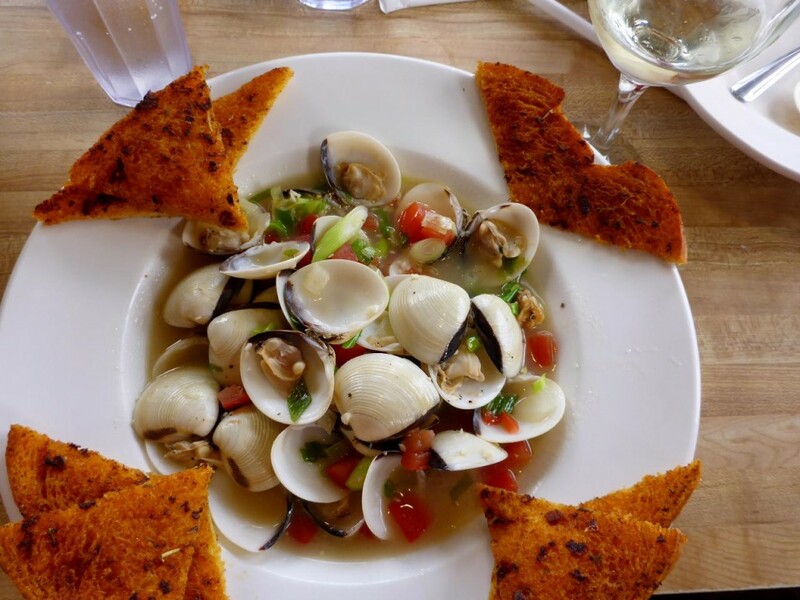 A delicious plate of steamers. The “steam donkey” introduced in 1882 could pull a sectioned redwood log. It took the place of 18 oxen. 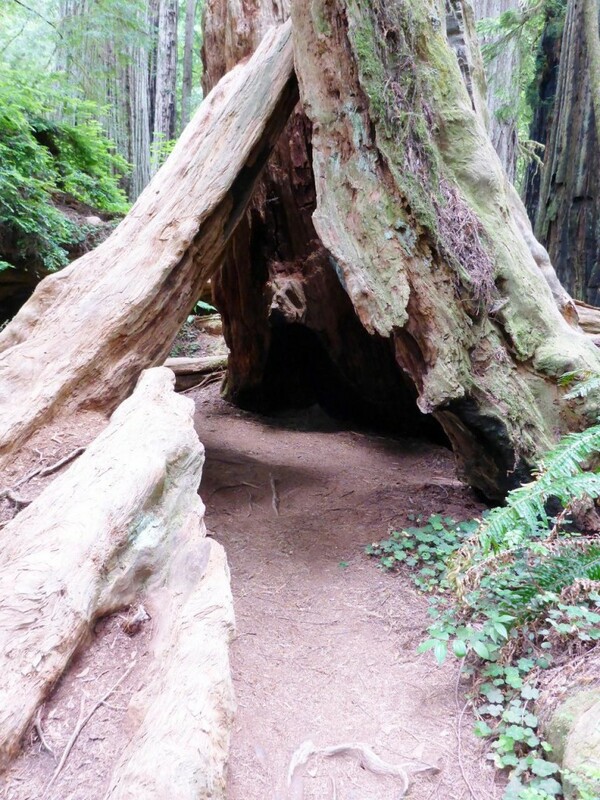 At that time a single redwood tree produced enough wood to build 23 houses. 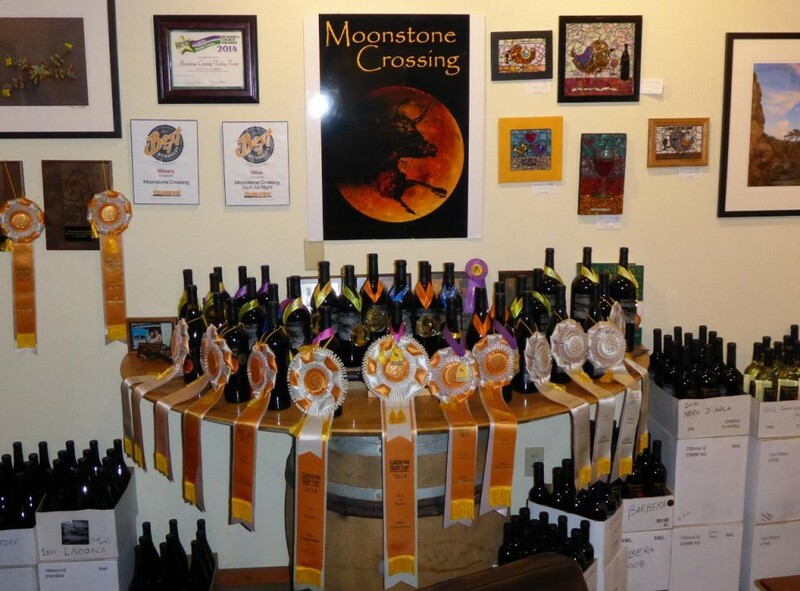 A fine winery in Trinidad. The bay at Trinidad with a memorial lighthouse. The real lighthouse can not be seen from here. 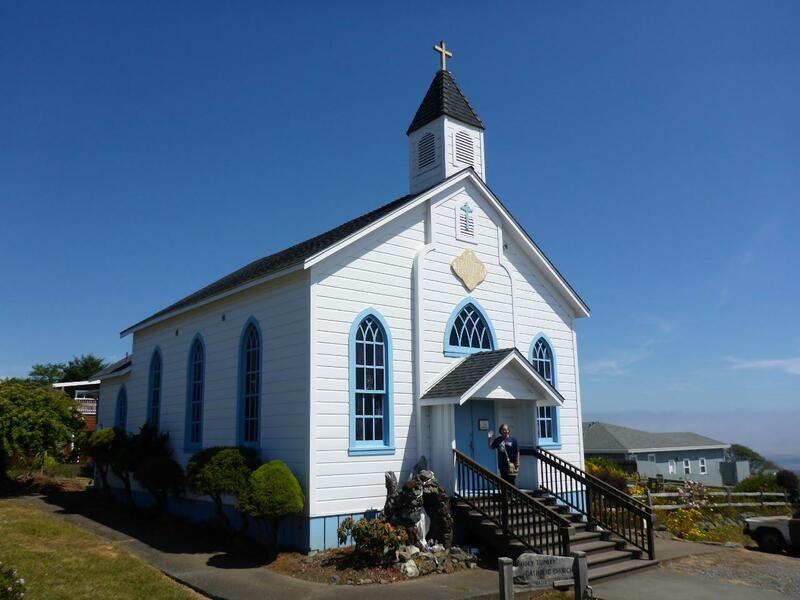 Pretty church from the 1860s. Cliffside riding with the fog still moving in.